Managed Power Supplies are mainly used in cable networks to feed a CMTS or other external devices and to meet stringent power performance requirements that exceed normal specifications for Power Supply Feeds. On top of meeting more rigorous specifications, Managed Power Supplies can deliver redundancy protection to ensure the highest availability of the network infrastructure. DEV’s Managed Power Supplies provide 12 V, 24 V or 48 V with up to 10 kW in just 1 RU. 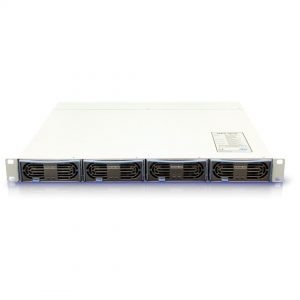 Four exchangeable power supply modules in a redundancy scheme are housed in a compact 19” Chassis. DEV’s Managed Power Supplies can be monitored and controlled via SNMP and the DEV Web Interface.